Thread by @SarahTaber_bww: "Amazing work from @BitterSouth. Real talk about how white women's political choices have not served us. "Privilege lets you opt out of carin […]"
Amazing work from @BitterSouth. Real talk about how white women's political choices have not served us. "Privilege lets you opt out of caring. Given a few centuries, that willing removal has hardened into something else for white women: irrelevancy." "Black women’s public engagement is nothing new—it’s just that for white Southern women like me, it’s unsettling to look sideways. In parallel, we see what our own lives are not." "Two generations since the Voting Rights Act of 1965, Mississippi black women run and serve in elected office at a stunningly higher rate than white women." “Black women are the savviest voters. They are extremely experienced in civic life, and white women are not,” she said. White women would approach Slater to quietly say she had their vote—a fact they intended to keep secret from their Republican husbands." "Pam Johnson, a legislative campaign consultant, can’t forget what she witnessed as a poll watcher in 2011 in north Mississippi. A white couple … shuffled into the rural precinct. 'I came to vote her,' announced the husband, proceeding to direct his wife to the voting machine." "At every voting station in the precinct, Johnson saw a white husband standing alongside a white wife as she voted. Johnson objected to the violation of the women’s privacy. The precinct workers shrugged. That’s simply how it was done." "Urban affluence, not just rural isolation, can wall off white women from developing their political lives, said Slater. “The more privileged, the more powerful the man in her life, in a way, the more diminished she is,” Slater said." You see a lot of talk about the intensity of black women's work. I don't think it's appropriate to do that w/o also reflecting on *why* they've had to work so hard on basics like public health, education, wages, etc. Southern white women were scarce to be seen on these issues. Anyway, I have a lot of incoherent thoughts on how the South is too often seen just as its white veneer. There's so much more to it than that. It's HBCUs, soul food, music, a vast Black political & intellectual legacy, and more. Let's see that & learn from it while we're at it. I'll be honest that the DeSantis numbers don't surprise me. White women have long voted Republican, but have been (slowly) moving Dem, and educated white women are strong Dems. Trump had less support from white women than Romney, etc. But 76% for Kemp... racism is a helluva drug. One question is what to do about this. i'm seeing a lot of calls for white women to come get other white women, and I agree. But I think what that analysis misses is just how divided white women are, especially by education & location (rural vs. urban especially). I look around my friends, family, and even acquaintances and I don't really know women who voted for Trump or who support the GOP. That's because my community is urban and educated (and diverse, but we're talking about white women here). Maybe there's a high school rando on FB? “Privilege lets you opt out of caring.” This is a must-read. YES. 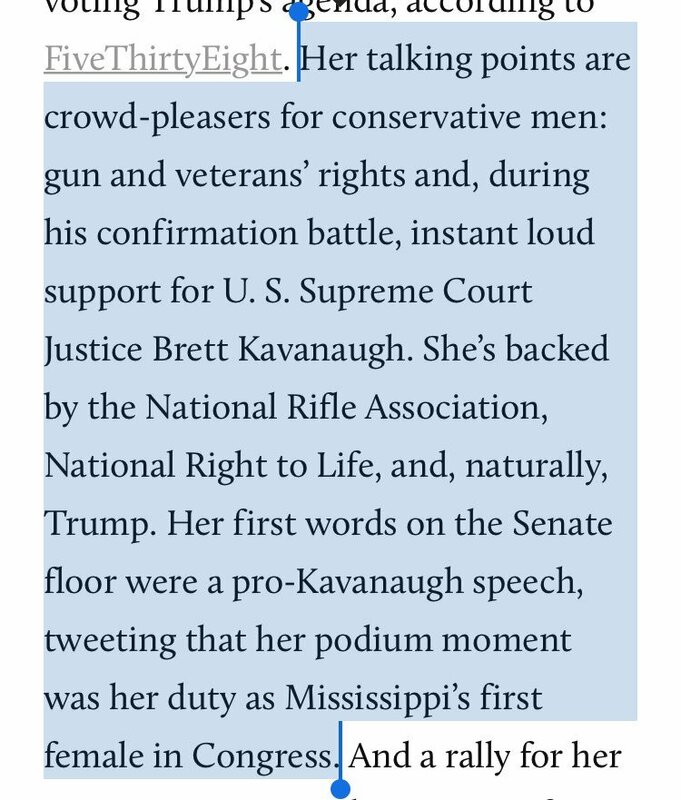 This is such a good example of @rtraister’s assertion that to be a powerful white woman is often to be a kind of “cool girl” who molds herself according to what men most value. Many white women work so hard to earn the approval and acceptance of white men that they forget that white men’s values, which center on maintaining the white heteropatriarchal status quo, aren’t necessarily their own.